PUT YOUR USED HOCKEY EQUIPMENT TO GOOD USE! Have any hockey equipment not being used? Please help us help others. Youth gear can be donated... skates, sticks, gloves, pants, protective gear, goalie equipment, disabled hockey gear. We accept all donations, including monetary. Donations can be dropped off at Crystal Fieldhouse for GFHA. 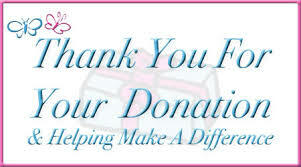 Thank you to Rico Phillips, City of Flint Firefighter and referee, and Shaun Doss, a sled player with the Grand Rapids Sled Wings, for their recent donations to our association! 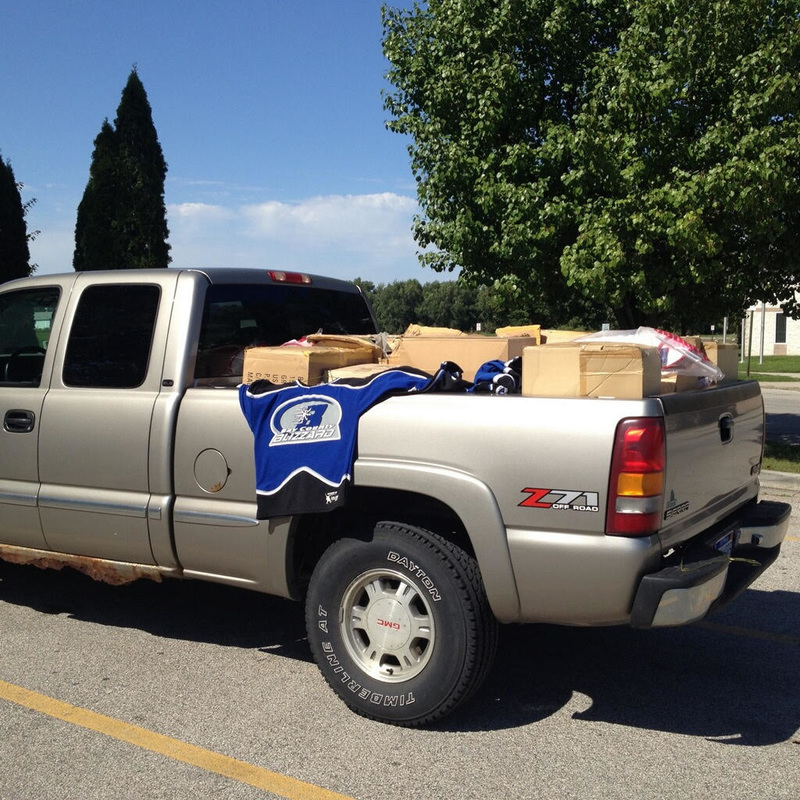 Thank you BAY COUNTY HOCKEY ASSOCIATION for donating to GFHA this truckload of youth hockey equipment. This will enjoyed by so many who try hockey during our monthly TRY HOCKEY FOR FREE DAYS! 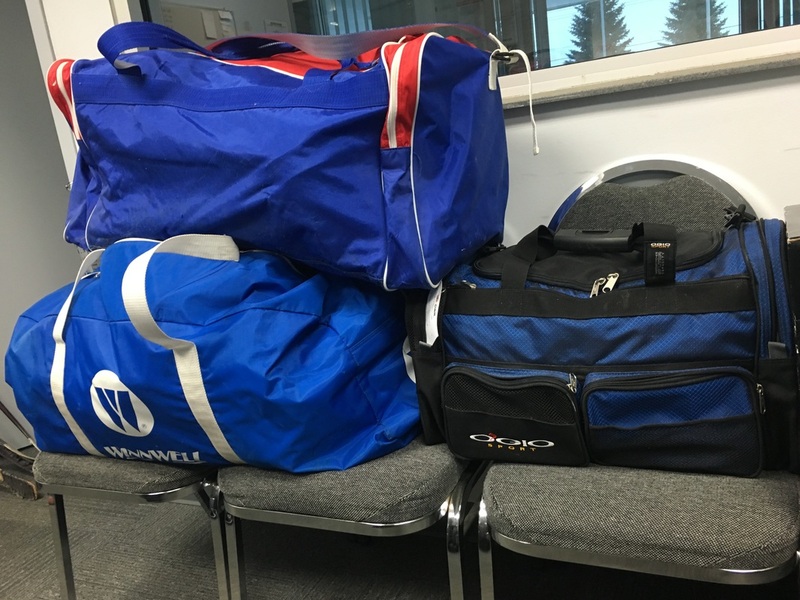 Thank you Jeff & Micki from GFHA for picking up all that equipment! Detroit Catholic Central Hockey Team (Prep Team) is playing Powers in the evening on October 3rd. 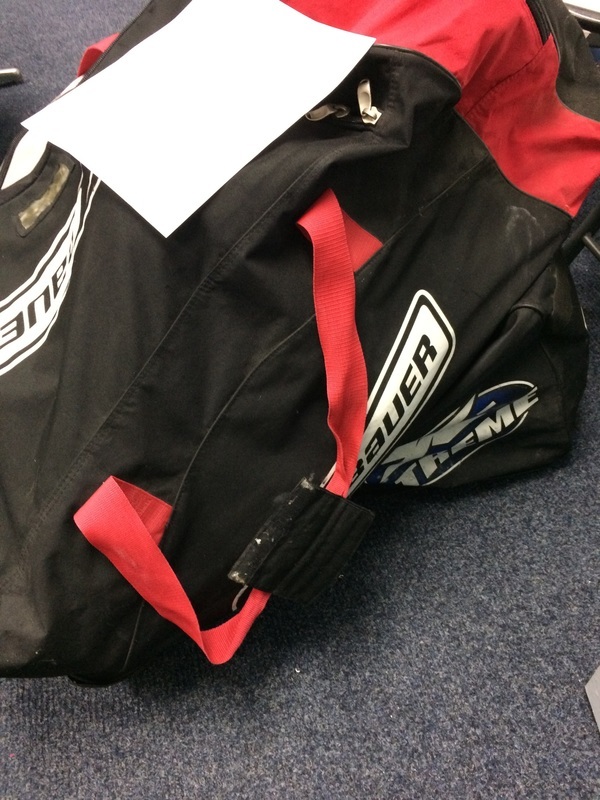 Donated hockey equipment coming. 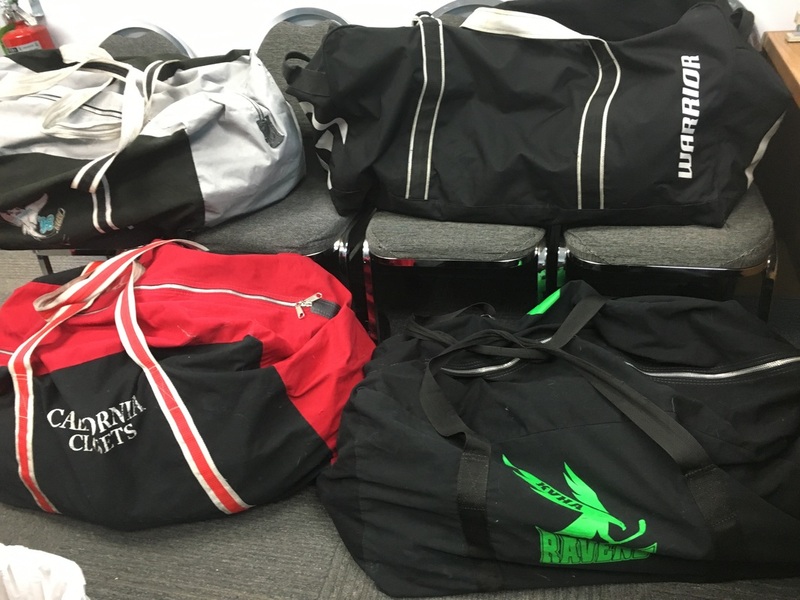 They are spreading the word to their players to donate any of their used hockey equipment. They noticed our page on our website regarding donating used hockey equipment. We advised them to put in office with note "Donated from Detroit Catholic Central Hockey Team". Crystal Fieldhouse welcomed Detroit Catholic Central on October 3rd when they arrived to play hockey against Powers Catholic. Detroit Catholic Central donated 12 bags of hockey equipment! 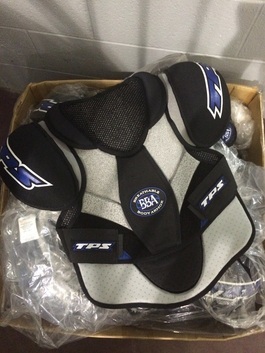 ​Greater Flint Hockey Association (GFHA) will use this used hockey equipment on Try Hockey for FREE days! Giving the children in the community an opportunity once a month to try on hockey equipment, put on skates, and try hockey for free with the help of GFHA members and volunteers. GFHA President Jeff Barat couldn't believe the amount of equipment and generosity from Detroit Catholic Central. Thank you to all! 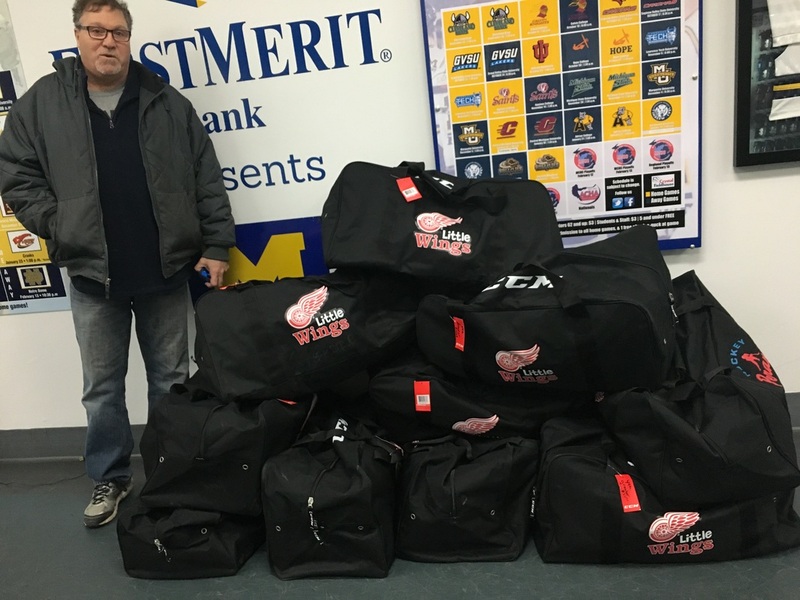 December 2015... Eleven (11) sets of youth hockey equipment were purchased thanks to a grant Greater Flint Hockey Association received from ONESHOT.